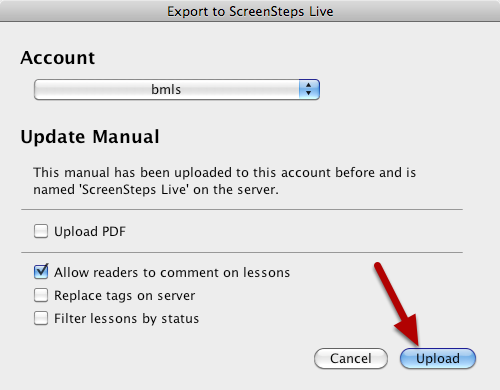 This lesson will show you how to upload to ScreenSteps Live all the changes you have made to your manual in ScreenSteps Desktop. Select the manual (1) and then select Export > ScreenSteps Live (2, 3). 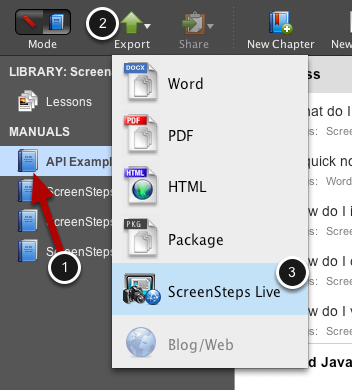 ScreenSteps knows that you have uploaded this manual to ScreenSteps Live before. Just choose your options and select Upload. 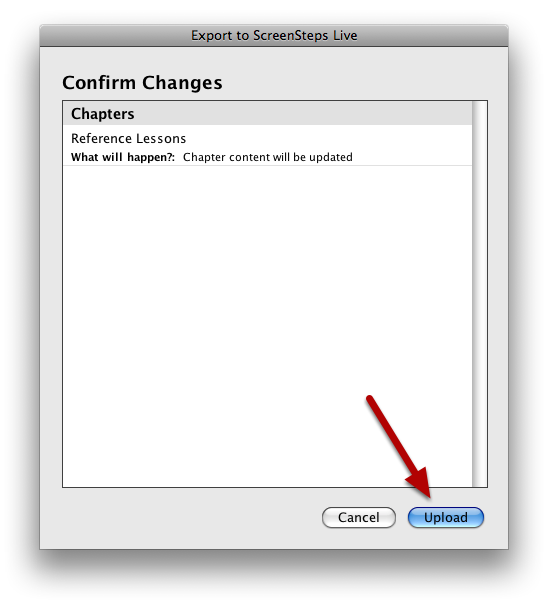 The changes that will be made to your manual on ScreenSteps Live will be displayed in a list. If you want to continue with the upload select Upload.